Skjolden Vandrerhjem/B&B is located in the grounds of Vassbakken Kro & Camping. The B&B has 24 newly refurbished rooms, all with en-suite bathrooms. 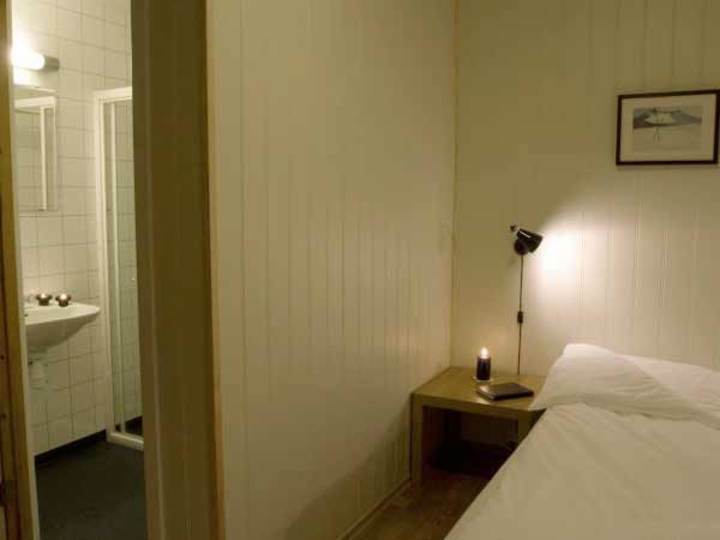 Guests are welcome to prepare food in the fully equipped communal kitchen, or they can buy dinner in the restaurant, serving traditional Norwegian cuisine. 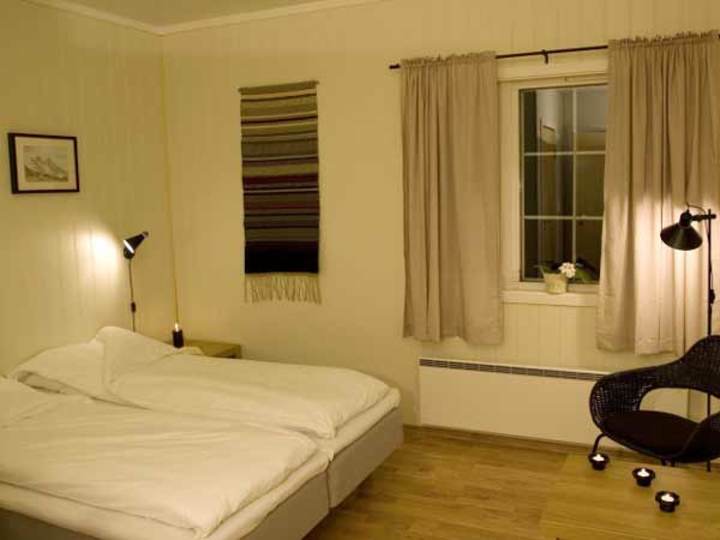 Adjoining the communal kitchen are also a stylish lounge with a TV and a furnished outdoor terrace with lovely views of the Fortunsdalen valley. Nestled between three national parks, Skjolden Vandrerhjem is an ideal starting point for trips to destinations such as Jotunheimen, Breheimen, the Sognefjord, the Jostedalsbreen glacier and Urnes stave church. See also our overview of activities and attractions in the area.